We wish build long term relationships with our clients, this is the reason why we want to be always at their disposal. Make you investment worthwhile and get more than what you expect with our Monthly Support Plan. Internet is in continuous change and so should you website be. Let you idea become real by continuously improving you website, changing design, adding new features and new products in order to be ready for your clients and on top of your competition. Our monthly support allows you to develop change and improve your website for a lot less than you expected. Our customers’ trust and satisfaction make us a loyal company. We tend promptly to our clients’ needs. 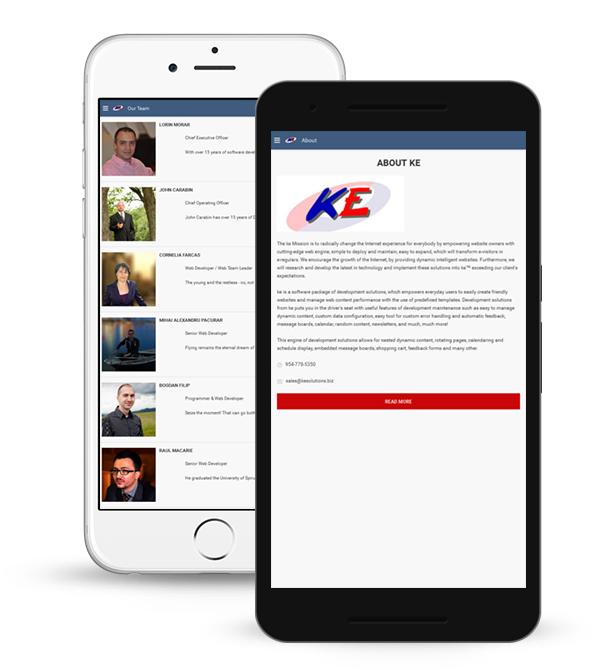 Online support platform: kesolutions.groupcamp.com, which allow us to easily manage the tasks, regarding time, resources and specifications, and have an efficient communication with our client’s on punctual matters. With our monthly support our clients are not all al restricted. Consider us the means to implementing you desired changes. Our team of product specialists, project managers and customer service representatives provides the adequate technical assistance to the customers enrolled in our Monthly Support Plan.